A girl was rescued by firefighters in east China’s Jiangsu Province Wednesday afternoon (February 25) after she got stuck in the muddy bank of a river. 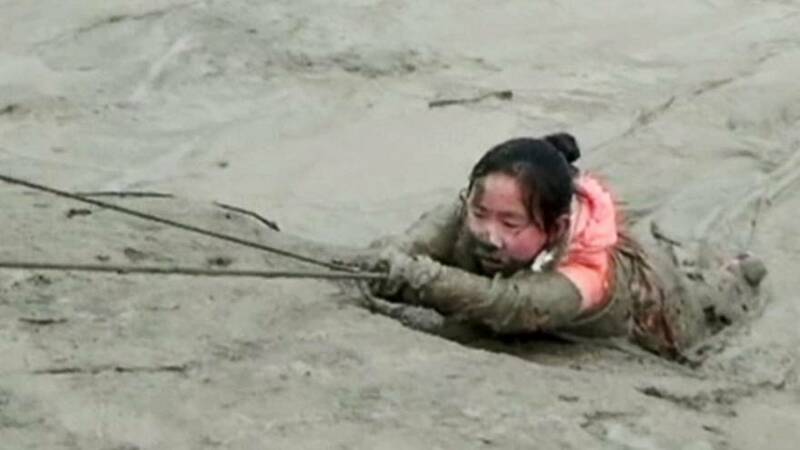 The firefighters found that the muddy ground around the girl was too soft to support their weight, so they threw two ropes to the girl and pulled her out slowly. The girl was then sent to the hospital.